Sorry, no matches on eBay for "Yellow House Orchid Mantis". 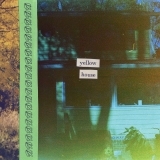 Yellow House is ranked 2nd best out of 2 albums by Orchid Mantis on BestEverAlbums.com. The best album by Orchid Mantis is Kulla Sunset which is ranked number 67909 in the list of all-time albums with a total rank score of 3.